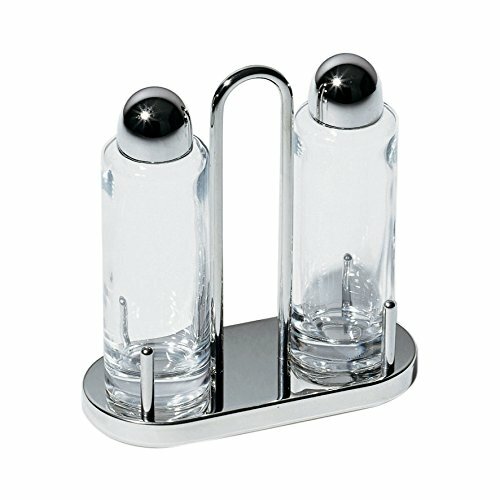 Alessi 5074, Oil and vinegar set in steel mirror polished and crystal. Designer: Ettore Sottsass. Material: Stainless Steel.